TLDR: Use this BetterTouchTool preset to display touch bar buttons for triggering Alfred workflows when the Alfred search bar is activated with a keyboard shortcut. 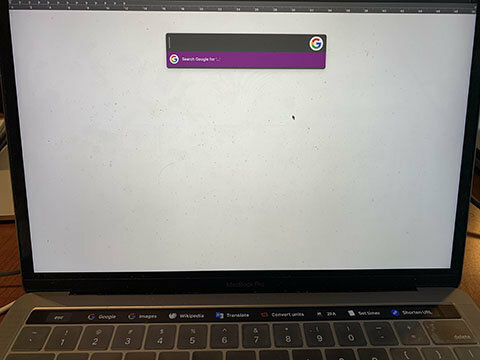 Left clicking anywhere outside the Alfred search bar when it is open closes the search bar, but not the workflows touch bar group. On the whole though I find that it works quite smoothly.